If you are in the planning process of creating an event such as a wedding, luncheon, or speaker event, programs are the perfect finishing touch. Programs usually inform attendees of the event schedule and key speakers. ​Often times, programs are the appropriate for showcasing sponsorships, highlighting vendors, and crediting important people. At DFW Printing we work with you to ensure that the most quality materials and imagery are used to make your event the talk of the town. Programs can create a lasting impression on your attendees and give them something tangible to remember your event by. Programs are often times the only take-home souvenir an attendee can bring back and remember your event by. It not only sets the tone for your events atmosphere, but also gives your event an organized, well-planned, air of credibility. Programs are essential for any event with a large audience and a thought out schedule. For information on how to write a program for a wedding read the article below. What Kind of Events Is Our Event Printing Service Good For? 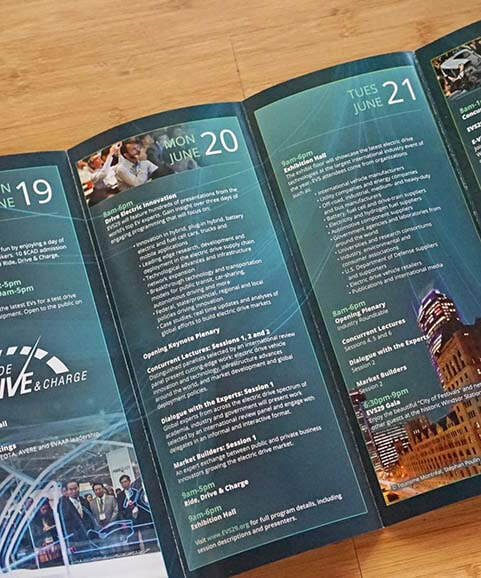 Event program printing is one of the things that you should never forget when planning an event. Not only will programs keep your guests informed and interested, but they can also encapsulate permanent memories for your guests to treasure. This is why you should have them created and designed right. At DFW Printing, we specialize in making programs for whatever type of event you are planning. Work with us and get high-quality printed programs are guaranteed to make a good impression. DFW Printing is dedicated to making quality prints with striking imagery to make your event the talk of the town. 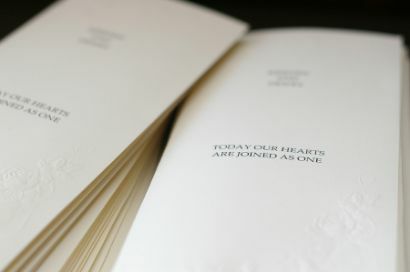 Since the beginning, DFW Printing Company has been printing event programs for a wide range of gatherings. So, if you have an upcoming event, you can always rely on us to provide you with the program that you need. 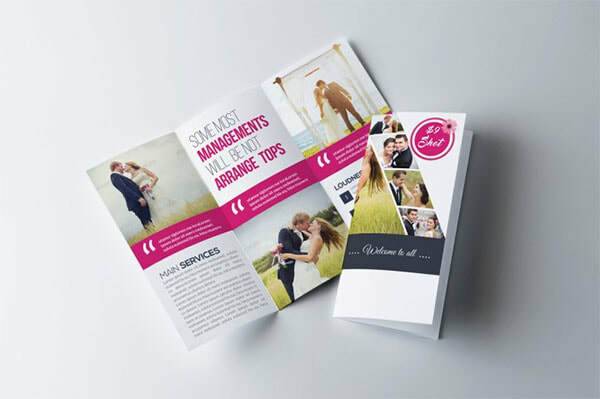 We offer a 100% satisfaction guarantee that our event program printing will give the results you want for prints that will surely impress your guests. It will start with you sending us your order and the file containing the artwork that you want to include in the program. Visit http://www.dfwprintingcompany.com/submit-your-file.html to send your file. After we receive it, we will proof it. Then, we will send you a soft proof at least 1 day after we receive your artwork. You will approve your proof. We will start producing and printing your programs after you approve your proof. We will ship the final copies of your program. As for the shipping, your location may affect how long you have to wait to receive your order. To order printed programs, you can use our online form on the right side. After that,we will send you a Digital Prepress Customer Pre-Check Sheet. The sheet contains a checklist that will guide you through preparing your files for printing. By following it, we assure you that everything will run smoothly with less risk of mistakes. You will be required to fill up necessary information like the name of event, customer name, section letter (if you require one), time of production, page numbers, color indications, etc. This is needed to ensure that our pre-press staff can easily determine such details during the printing process. If you have any questions, please call our sales representative at 214-977-7458 or the Pre-Press Department at 214-977-6880. Our people are always willing to give you expert advice to come up with the best program for your event. If you would like an awesome looking event program printed out that suits the occasion, just simpy fill out the form below. If you have seen any event programs that you liked, please upload it here so we can deliver a similar one! ​ For immediate help call us at 214-977-7458 or send us an email. If you have any special requests please write them here.